Every industry has its essential tools. Sculptors have their hammer and chisel. Doctors have their medicine bag and stethoscope. Deep sea divers have their scuba gear… you get the picture. For us event planners and organisers, choosing the best free gantt chart software is about as essential a part of the job as any. Indeed, effective, efficient project management software often makes a massive difference to both our stress levels, and our ability to plan events that really tick all the right boxes. With free project management software, and by using the best gantt chart software to streamline our plans, express our creativity, and chart a route to success, we’re able to take our event planning further than ever. Think of these tools a bit like an artist’s canvas: they’re spaces on to which we can project our ambitions, and begin to realise something truly spectacular. As with any project management software, choosing the best gantt chart software for your needs can be a bit of a tricky business. After all, there are plenty of options to choose from, and some are more suitable than others for specific types of events (and indeed specific types of event planners). Here at Ultimate Experience, we’ve given the vast majority of them a try at one point or another over the past few years, and we’ve definitely got our favourites after having sorted the wheat from the chaff. As we’re always keen to share our thoughts on what works and what doesn’t, we’ve gone to the trouble of picking out the best of the best, and presenting them to you in this handy blog. So, if you’re looking for the best gantt software for your own event planning success, this really is going to be the article you’ve been looking for! 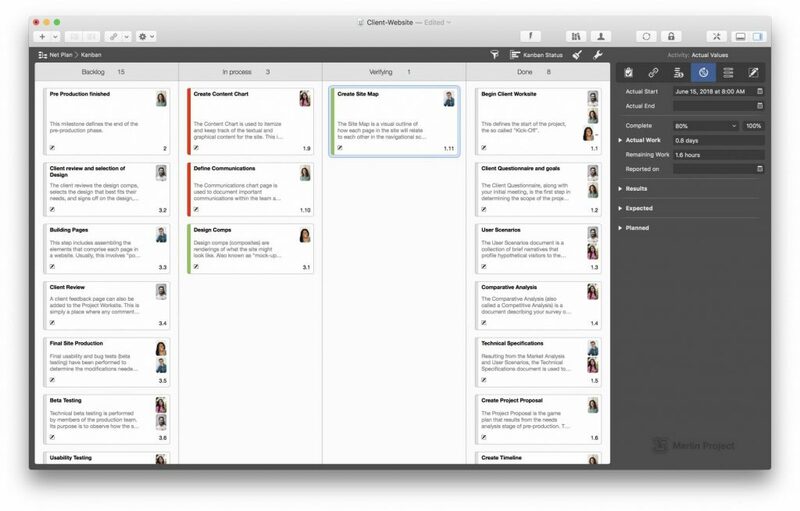 Check out our seven favourite examples of free project management software below. When it comes to any kind of software, there’s really no brand out there more reliable than Microsoft. 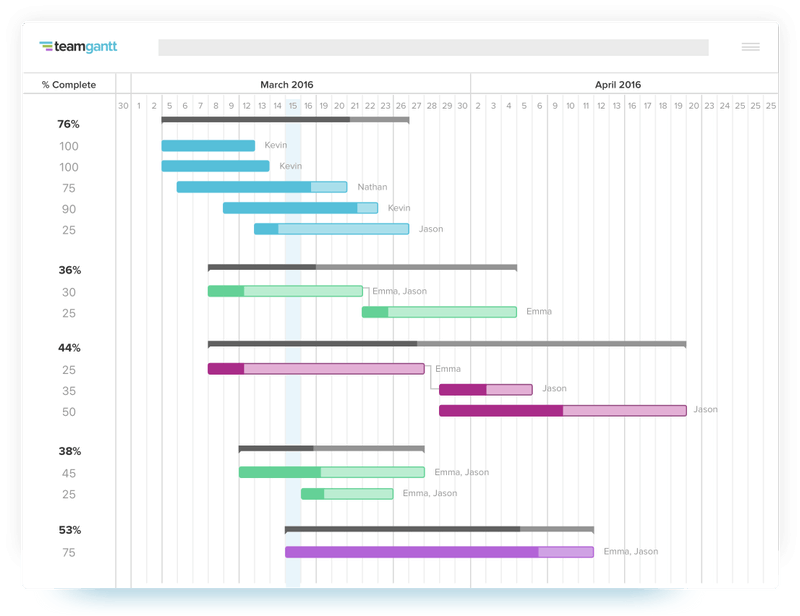 This gantt chart software is as efficient and effective as you’d expect from this giant of the tech world, and fairly comprehensively covers every aspect of project management you’re likely to need. 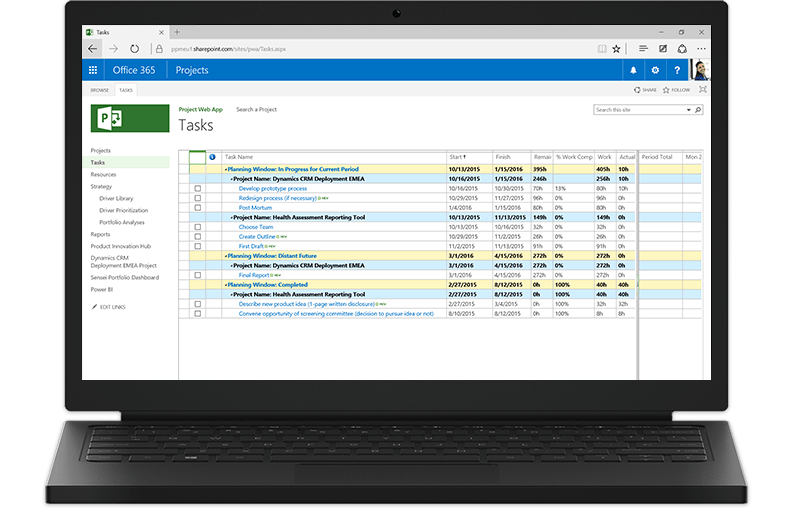 Despite the fact that this is a Microsoft product, not a huge amount of people seem to know about Microsoft Project Online - it’s something that Microsoft seem to have kept fairly quiet about - which makes it feel a bit like a ‘best-kept secret’... and who doesn’t love one of those? As you might expect from a gantt chart software with such a name, this is something of a ‘wizard’ tool that many event planners we know simply couldn’t do without. Specifically created for Mac, it’s got that distinctive Apple slickness and creative edge, making it ideal for event organisers who deal with more ambitious projects. User friendly, beautifully laid out, and ideal for use both online and offline, it’s a highly recommended tool that has blazed plenty of new trails which others quickly followed. A lot of event planners have leapt at the chance to use Ganttic for all of their gantt chart software needs. Why? Well, according to their website (and the testimonies of plenty of event organisers in our network), this particular software is supposedly better than well-established tools like Microsoft Project, and better even than industry stalwarts like Excel. With a plethora of features, and a system aimed squarely at busy event planners needing streamlined, user-friendly software, it’s gained a real dedicated following in a relatively short space of time. This smart looking software is known for being highly intuitive, and capable of making your plans come together beautifully. From brilliant customisable options to a fantastic level of detail when it comes to all your finer points, TeamGantt really excels for event planners who like to stay on top of every single aspect of their projects. What’s more, TeamGantt is great as a comms tool, as team members can easily communicate with each other via the software, even when they’re working remotely. When you look for the best gantt chart software for your event planning needs, what you really need is one which makes gantt charts and project planning look easy. With Ganttpro, that’s exactly what you get - a brilliantly streamlined, simplified, and user-friendly system that puts you as an event organiser front and centre in its design. 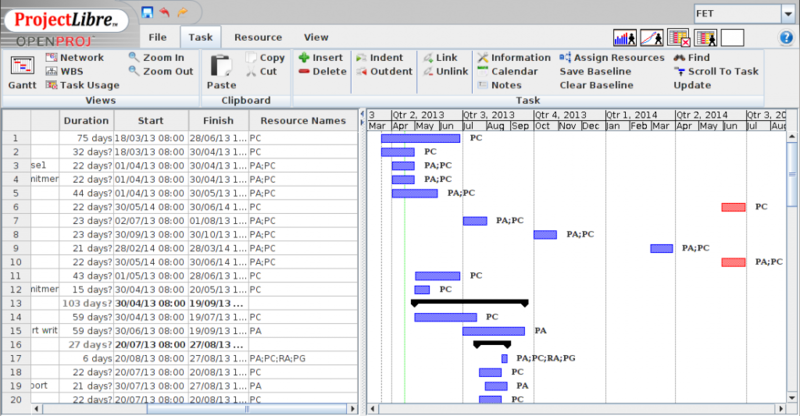 While this may be a simple piece of gantt software, its drag-and-drop features allow you to organise several projects at once, making it capable of reasonably complex procedures. As the name implies, ProjectLibre is a gantt chart software which frees you as an event planner to organise several aspects of your event at once. This brilliantly liberating tool has been cleverly designed with open source software, which really does make project management easy even for newcomers to the industry. ProjectLibre is currently used worldwide (indeed, it has already been translated into several languages and is popular all throughout Asia as one of the gantt tools of choice), and has been showered with awards in recent years. If you’re looking for an intelligent, intuitive tool for your project planning success, this may well be the one for you. If you’re a smaller or medium sized event planning company, then Rational Plan has been built with you in mind. This brilliantly lo-fi and highly logical software is arranged in order to be extremely easy to follow - using it really feels like the kind of thing you could do on paper, but with all the added benefits that come with an online and offline system. ‘Rational’ really is the right word for this tool, as everything is laid out in a sensible and easy to understand way, making complex tasks and organising simple, effective, and efficient. 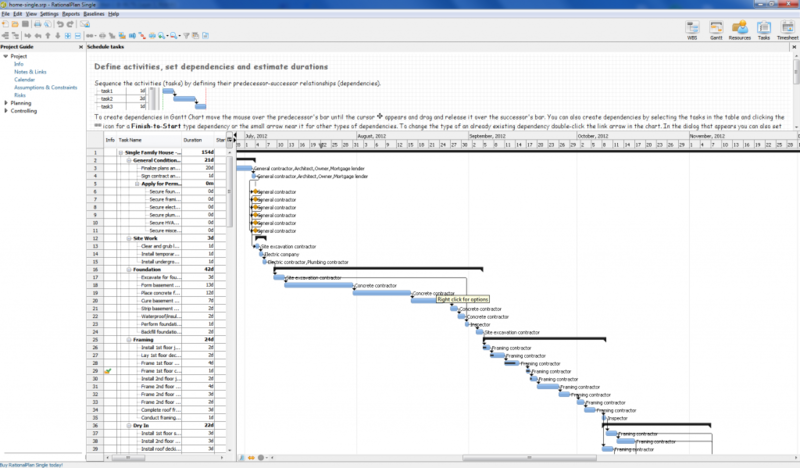 Once you start using Workzone, it’s frankly quite difficult to go back to any other gantt chart software programs. The interface is so distinctive, so streamlined and slick, and so intuitive, it makes a lot of other software look clunky and outdated in comparison. One of the nice things about Workzone is that it integrates gantt chart software into all of its project views, meaning there’s a beautiful consistency across the whole package. Less complicated than many of the bigger tools, but by no means a lightweight, Workzone strikes a very appealing balance indeed. 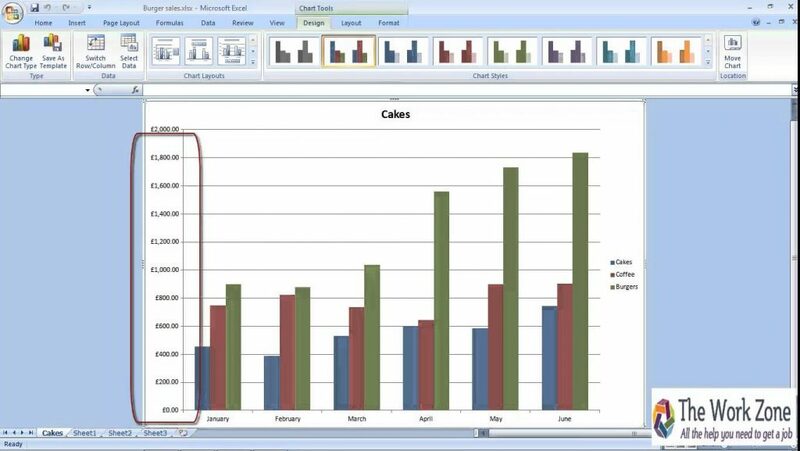 There you have it - seven fantastic tools for all your gantt chart and planning needs. At Ultimate Experience, we’d be a bit lost without project management software such as those listed above, and we’re sure you’ll benefit from them just as much as we have! If you have any top tips regarding tools that you use which haven’t been mentioned here, we’d really love you to leave a comment and let us know which ones work best for you. If you’re looking for any help whatsoever when it comes to event planning and management, we’ve got the skills and experience you need to take your projects further than ever. Want to find out more? Get in touch today!